A stair case is not just a part of your home that connects two floors-it is also the most important structural design that can turn an ordinary home into an elegant one. However, people often get confused about what stair case design to choose. You probably want a design that can match well with the décor of your home at the same time showcase your style of living, right? Straight stairs: Straight stairs are amongst the most popular stair types that are always in vogue. These types of stairs are best fit for both the traditional and modern style homes. They are not only easy to use, but can also be fitted in homes with minimalist design due to their inbuilt simplicity. Quarter turn stairs: Quarter turn stairs or L shaped stairs are also one of the best staircases used in modern homes. These types of staircases look visually attractive. Further, if you want some kind of privacy, it acts like a visual blockade between floors. As per the design of your room, these kinds of stairs can be located anywhere with ease. U Shaped stairs: U shaped stairs are generally built by joining 2 parallel straight stairs and a landing with 180 degree turn. These kinds of stair cases look very trendy. Furthermore, the spilt stair design uses minimal floor space. 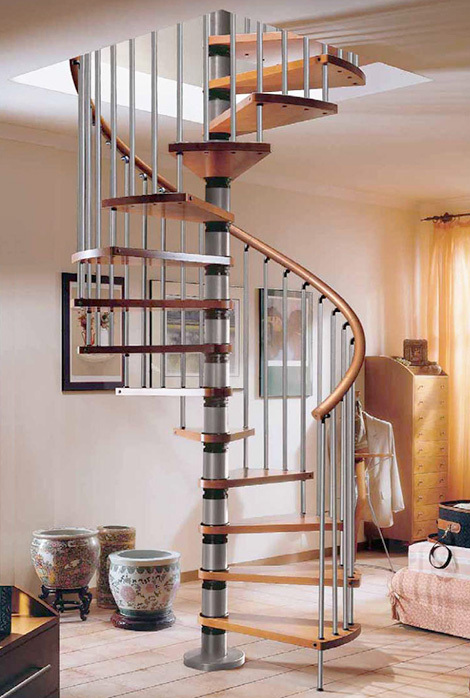 Spiral stairs: Spiral stair cases are amongst the most popular stair cases that are generally found in a modern home. The modern stair case design of these types of stair cases are often confused with curved stairs. However, these stair cases are quite different from curved ones. These are very compact and easy to fit in any corner of the room. Curved stairs: Curved stairs are another form of modern design stair cases, which add a touch of elegance to home. The slight curve of these stair cases with a large radius make these easy to walk up. The design of these stairs is slightly similar to spiral stairs. The only difference is that they usually not built in a full circle. 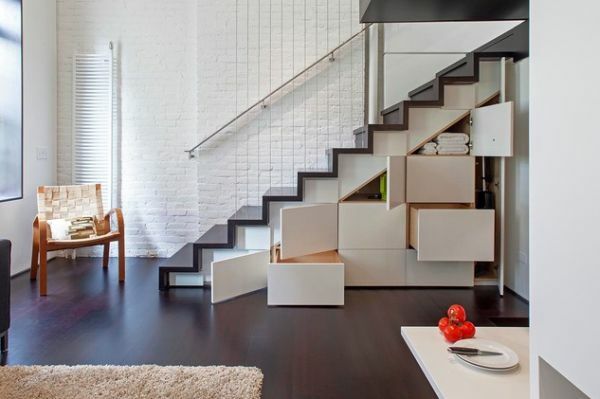 So, these are some modern design staircases that you can add into the interior of your home.